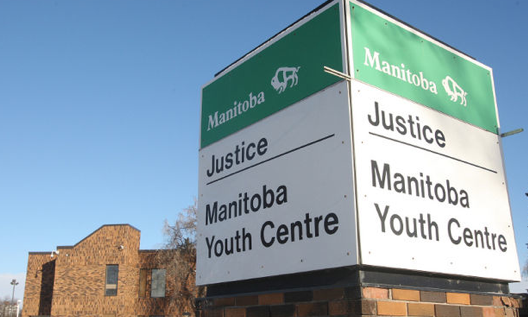 When it comes to Manitoba’s youth justice system — and the unbelievably sad kids it often has to try and “fix” — I’ve learned one should take small successes and trumpet them. And it dawns on me today that the case of K. falls into that category. I wrote about K. — a high-needs permanent ward of CFS — a few months back. (It’s not her real initial). Her tale triggered some consternation from regular readers of this blog (one commenter called the process of her case ‘disgusting’). In a nutshell, K’s story was about what happens sometimes in our youth justice system — and the failures of systemic concerns outside the court process to live up to the wishes and requirements of the court; that the youth justice act specifically states the criminal justice system is not to be a proxy for child-welfare concerns. (And her concerns are immense. A short list goes like this: Violent history, FASD diagnosis, ARND, high suicide risk, broken family which “basically abandoned” her, mental illness, anxiety disorder). You can read what little I know of K’s heartbreaking and concerning story here. And a follow up from a few days later here. And it didn’t surprise me to learn last week that really, despite all this, nothing changed right away. K. (remember, she’s 13 and an abuse survivor) was still released from the youth centre to go and live in a downtown Winnipeg hotel as Child and Family Services had no other placement for her. (It’s partially her fault because her conduct had caused chaos at other bona fide foster placements, at another she was sexually abused and she was removed). But the fact is the fact. Judge Mary Kate Harvie ordered specifically late last year K. was not to be placed by CFS or the provincial corrections department in a hotel and yet it continued to happen. Another veteran judge, Marvin Garfinkel, lambasted lawyers and CFS over this continuing to happen in the spring and still, K. gets placed back in a hotel. And again, this “plan” for her, however temporary the intention was for it to be, just didn’t work. May 9, 2013: K. is at her latest hotel placement in downtown Winnipeg and a fracas breaks out with a worker over a perceived unfairness involving a cellphone. She lashes out, tosses a glass and hits the worker with it. After heading out of the hotel room, K. smashes a safety window, picks up a fire extinguisher and discharges it at another worker who tries to intervene in the hotel hallway. Cops are called. She’s hauled off back to the youth centre and held in custody for what was termed a “freak out.” It seemed the cycle was simply doomed to repeat. But then, something changed. Island Lake CFS came through with a placement on a rural farm. There’s animals there K.’s learning to bond with. She’s given structure and support and monitoring. The plan is she may actually return to school in the fall. That’s some success you can hang your hat — however cautiously — on. But another success I noted was in how Judge Cynthia Devine treated K.
The relatively new judge, who also says grew up on a farm, spoke to this girl — noticed her, and noticed how this young offender with a horrific background replete with social (not criminal) problems spent two further months in custody till the placement came through. Devine described this development, rightfully, as appalling. Because it is. Devine saw how K. could barely utter a squeak, and hunched herself over in a defensive posture in the witness box throughout the hearing. “It is absolutely no wonder that she comes before the court today having armed herself trying to protect her interests … little wonder that she freaked out. It is sad that she was in custody for so long on these charges,” Devine said. Devine saw that the whole proceeding was likely just a bunch of gibberish to K., saying it was probably a “lot of noise” to her. Devine saw K. And I got the sense her soft-touch approach might have made an impression. To me, given some of the things I’ve seen over the years in youth court, that’s a success.